Numerous people dealing with US immigration are asking for certified or notarized translation so it was about time to explain how to make a certified translation in order for both translators and clients understand the concept better and to ensure requirements are being followed. Although our translators are experienced linguists dealing with certified translation each and every day, we believe that there are some things they should keep in mind when translating an official document, and in this page we are going to tell you how to make a certified translation. While the concept of official translation may be clear to us, it may not be for our clients, and there are some things that need to be kept in mind when asking for an official translation. Here are some rules and requirements of this type of translation. Usually, a translation is in a way an adaptation of a text from one language into another, where using synonyms is permitted. When it comes to official translation, things change. The translation needs to follow certain requirements which are stated below. Normal translation is an adaptation of a text from one language into another while conveying the meaning of the message. 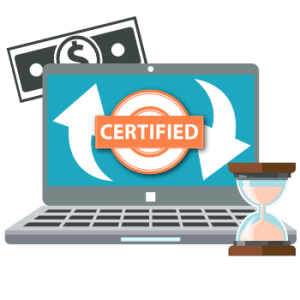 Certified and notarized translations are different, they need to be an exact, word-for-word translation of the source text! Choosing synonyms for words is not permitted, alterating the phrase is not permitted, changing the meaning is not permitted. Adapting the text in any way, either from legal language to normal language, or editing the text because the clients asked for it is not allowed. A certified translation is an exact translation of a text from one language into another, with no omissions or add-ons, where all text on the page has been translated, including headings, logos, signatures and stamps. The translation needs to be stamped and signed on every page and needs to be accompanied by a certificate of accuracy, which states that the person or company doing the translation is perfectly capable to translate between the two languages, and the translation is an exact representation of the original document. A notarized translation is a certified translation which has been presented in front of a notary public and got the seal. The notarization is an extra layer of security added to a translation that is certified. The notary public certifies the fact that the person who did the translation has been present in the notary office and has been identified. Changing the text in client’s favor is not permitted. Text adjustments, changes, transformations, adaptations or tweaks is any way are NOT allowed. This is an official translation which is to be used with legal bodies like USCIS and as such, any small alteration or omission could lead to the translation being rejected. In order for this not to happen, we clearly instruct our translators how to make a certified translation, and they have to work according to above rules. Every year the immigration organization in the United States accepts many applications from immigrants and the families of immigrants who plan to move to the U.S. Some applications must be sent in with the translation of foreign-language documents. Individuals who are preparing their application need to get a certified translation. Certified translation for USCIS (the United States Citizenship and Immigration Services) is a specific type of translation required by USCIS, high school, university enrollment, passport office, and many other local, state, and national official uses. 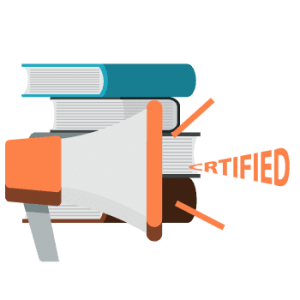 Certified translations are word-for-word and delivered by a professional translator or an LSP letterhead including a signed and stamped Certificate of Translation Accuracy, which attests to the thoroughness and accuracy of the translation and the qualifications of the translator. USCIS is the government agency that oversees lawful immigration to the United States. Certified translations for USCIS are required for all immigration procedures. All paperwork that is submitted for an immigration petition, application or status adjustment must include a certified translation into English. The translation must also list the translator’s certification, and your translator must provide you with a Certificate of Accuracy. Working with a USCIS certified translator ensures an accurate translation and that your application or petition will not be sent back because you did not follow the procedure. A professional translator is certified to translate from one language to another and is prepared to translate your immigration documents.